WITCH HAZEL PORE PERFECTING TONER. There really isn't anything witchy about Witch Hazel. 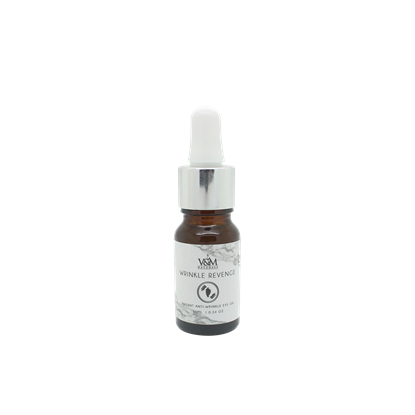 In fact, it naturally cleanses, firms and heals the skin, without disturbing the skin's natural moisture balance. 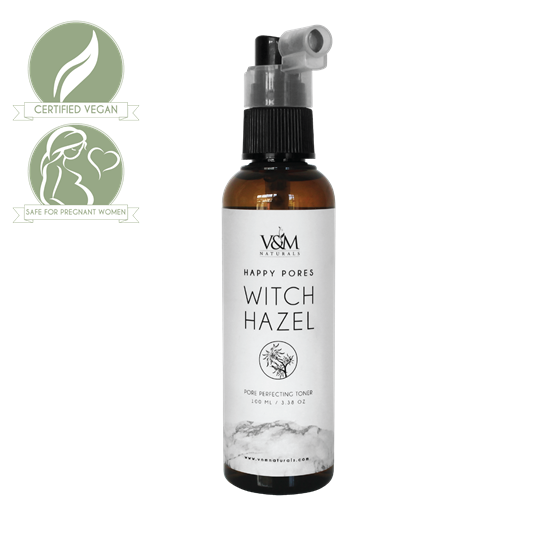 V&M Naturals Witch Hazel Pore Perfecting Toner is gentle enough for daily use. It promotes a clear complexion as it prevents and removes acne blemishes and gives the skin a beautifully matte, shine-free finish. Gently mist all over face or dispense an appropriate amount to cotton pad and apply all over face in an upward motion. Use Happy Pores Witch Hazel prior to applying your favorite V&M Naturals face cream or lotion, as it helps to prepare your skin to maximize the benefits of your moisturizer.